Green Plains Inc has paid $18.25 million for the ethanol plant, the latest in a string of consolidations as vast supplies and low crude oil prices squeeze industry profits. The goal is to increase its annual production capacity from 62 million gallons to nearly 1.1 billion gallons per year. To achieve this goal, the company announced it will make several capital investments before restarting the plant to increase its operational efficiency and production volume. The company plans to spend another US$6 or US$ 7 million for a corn oil extractor and other improvements at the plant. Production is expected to resume by the end of the year. 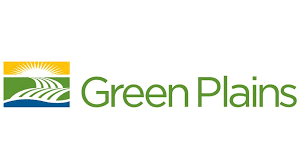 When the plant is fully operational, Green Plains expects to offer the Hopewell plant’s transportation and storage assets to its master limited partnership, Green Plains Partners LP.